Every month, all sorts of Land Cruisers come through the Snyman 4×4 workshop in Brackenfell, Cape Town. 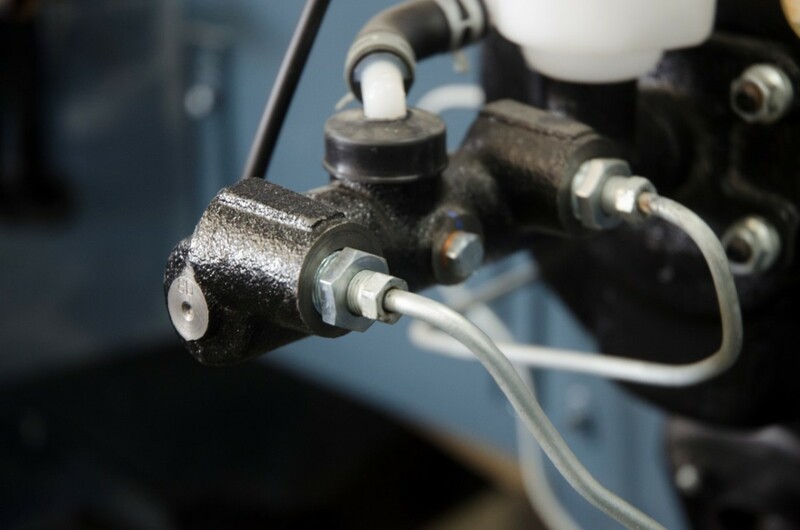 If it is Cruiser-related, these guys will pull out all the stops, whether it’s just an oil change for your 105 Series, a few modifications, or a complete restoration down to the last nut and bolt. Everything from paint to engine rebuilding is done in-house and the quality of workmanship shows on every classic Cruiser that is finally signed off by Joubert and Yolanda Snyman. It all began with a passion for Cruisers back in the 1980s, and has grown to be a thriving family business. For the Snyman family, the focus is on quality over quantity, so they prefer to take the longer, slow road, taking on detailed restorations, restomods and customisation. Building ratty challenge vehicles is not on their radar at all. The process usually starts with a tired but running vehicle that’s had a hard life on farms or in off-road situations. If parts are too damaged or rusted to be repaired, Snyman 4×4 can draw on its stockpile of spares accumulated over many years. 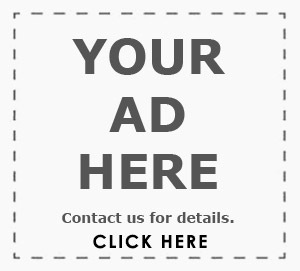 However, locating just the right piece for every model to be used or refurbished is a time-consuming part of the process. Naturally, a bare chassis restoration job isn’t the work of a few weekends. Most often it takes the better part of a year to source all the necessary parts in immaculate condition or to manufacture their own ones. After a customer brings their vehicle in for refurbishment, the body is removed, parts de-rusted and brought back to original life and condition after many hours of painstaking sanding and painting. Meanwhile, all the suspension and driveline components are removed to either be rebuilt or replaced. 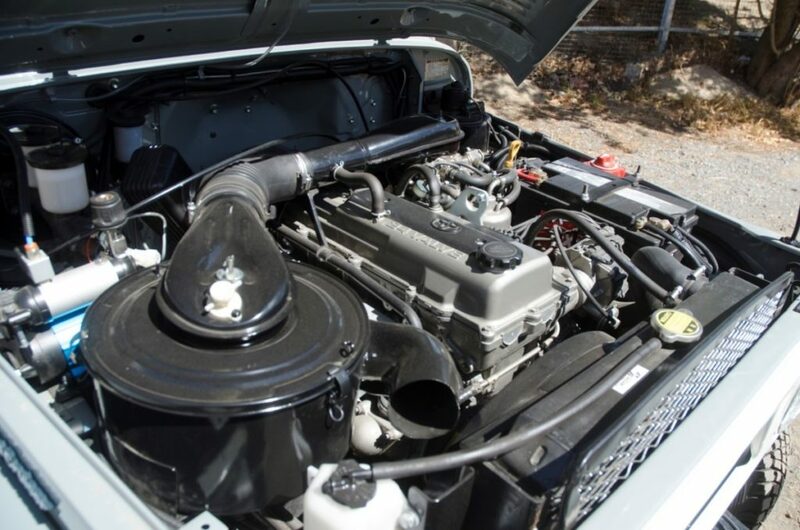 These all started out as very basic, utilitarian vehicles, so customers can order what they want in their restoration – from air-conditioning or power steering, to newer engines and suspension. Others prefer to retain the original patina and flaws. 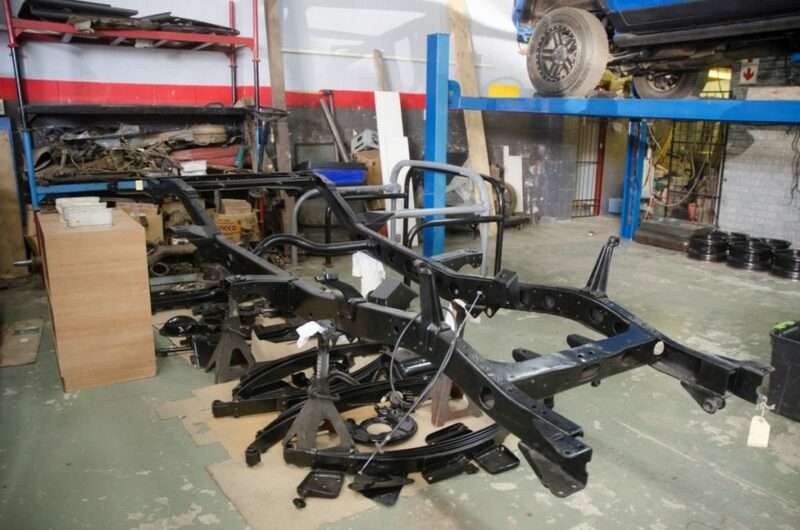 After stripping the vehicle down to its bare chassis, the frame is sent for sand blasting and it will be painted or galvanised according to customer’s preferences. From there, it’s put back together like a giant Meccano set with all new nuts and bolts. The end result, if the customer so wishes, is a brand-new Cruiser with a line of zeros on the odometer. Old vehicles aren’t for everyone and their metal dashboards and hard suspension won’t appeal to those with modern tastes. 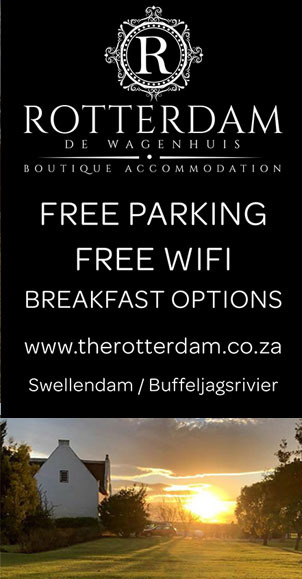 However, according to Joubert Snyman, it is their intrinsic character, their simplicity and their raw nature that makes them unique. 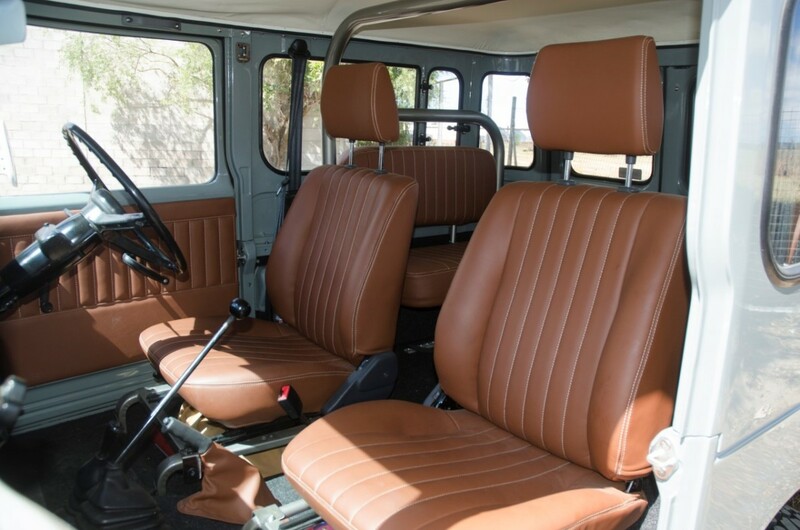 Apart from the experience of owning and driving these classics, Joubert notes that their value has risen dramatically in recent years as owners are becoming less willing to sell and parts have become more scarce, in part due to shops like Snyman 4×4 buying up available spares to create their masterpieces. 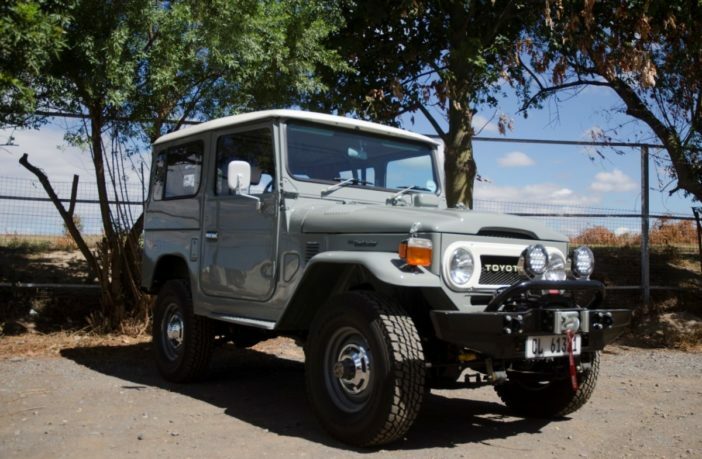 One of the gems in the history of Land Cruisers is the short-wheelbase 40 Series. These had their origins in 1960 and were built right through to the Seventies. 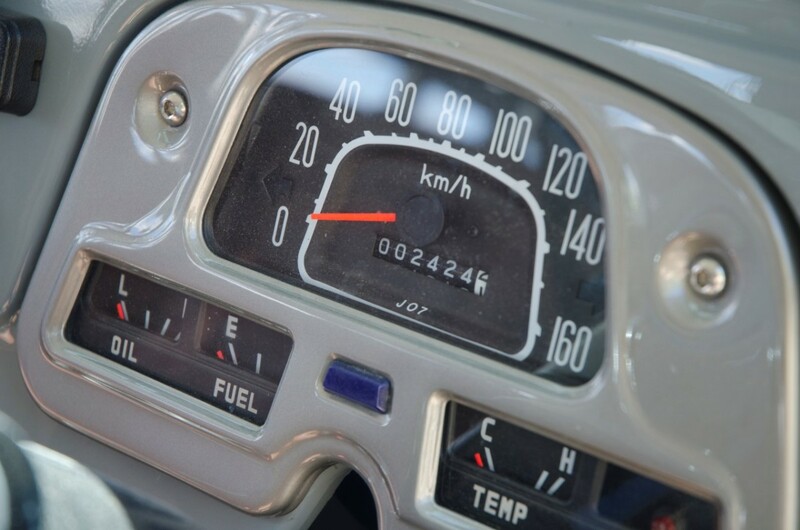 The diesel-engined models carried the ‘BJ’ nomenclature, while petrol variants were classified ‘FJ’. 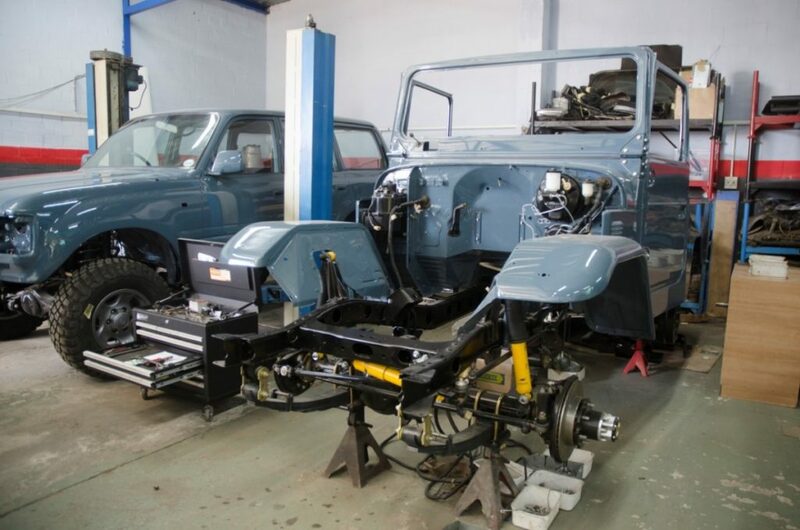 In the case of the 1976 BJ40 featured here, the customer wanted a complete restoration from the ground up. He also insisted on a few modern touches, including stunning leather-clad seats, Old Man Emu suspension for a softer ride, power steering and a straight-six 1FZ-FE (4500 EFi) petrol engine. Technically this makes this BJ an FJ. The original 3.0-litre four-cylinder diesel mill pumped out a gravelly 63kW, making the silky 4.5-litre EFi with its 158kW and 407Nm close to three times as powerful. The modern suspension has softened the ride somewhat from the rather jarring original, while that legendary six-pot purrs away almost silently in this revitalised 40 Series, offering much smoother power delivery through the original five-speed transmission than the old diesel mill. When driving to various shows around the country, these vehicles are used to showcase what’s possible. The improved mechanicals on this one, for example, make shorter work of distances than the original spec, which, says Joubert, was comparatively brutal to drive. 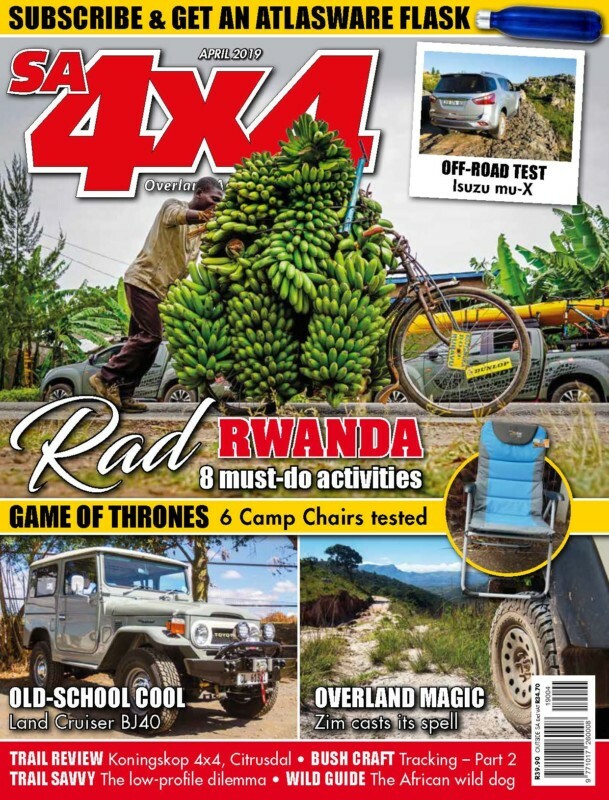 Interestingly, it’s old 40-series Cruisers like this one that Snyman 4×4 is seeing most of at the moment. Five years ago, the trend was to refurbish 70 or 80 Series SUVs, but as older models such as the 40 Series become scarcer, their values have tripled in the last 15 years. Today you’ll struggle to find a neat running 40 Series for under R250 000, proving that there’s no school like the old school. The Land Cruiser can trace its origins all the way back to 1951 with the introduction of the model ‘BJ’ model which closely resembled the Willys Jeep of WW2. The BJ was a Japanese equivalent, sold to America for use in the Korean War, later becoming the Model 20 after the war ended in 1953. The Model 20 had softer suspension and better seats, suited for civilian use. 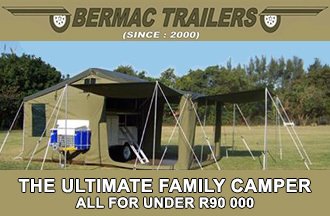 Two models were available, the BJ 20 (diesel) and FJ 20 (petrol). 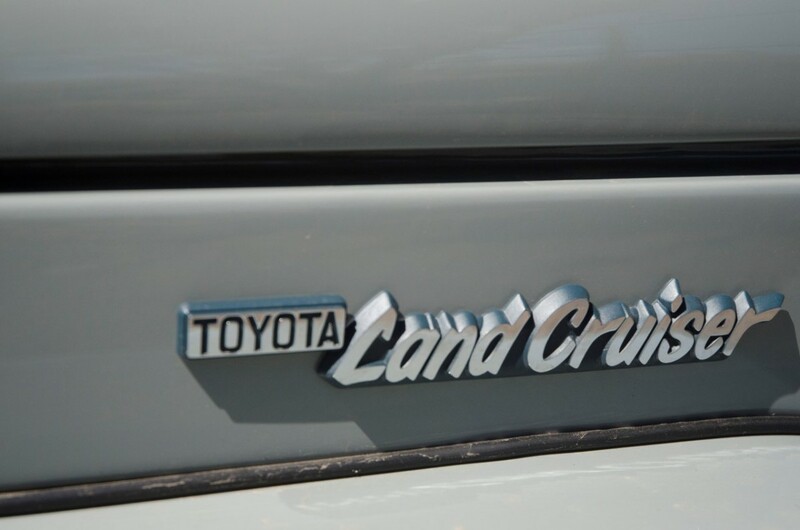 To this day that nomenclature can be seen in the new FJ Cruiser with its powerful petrol engine. 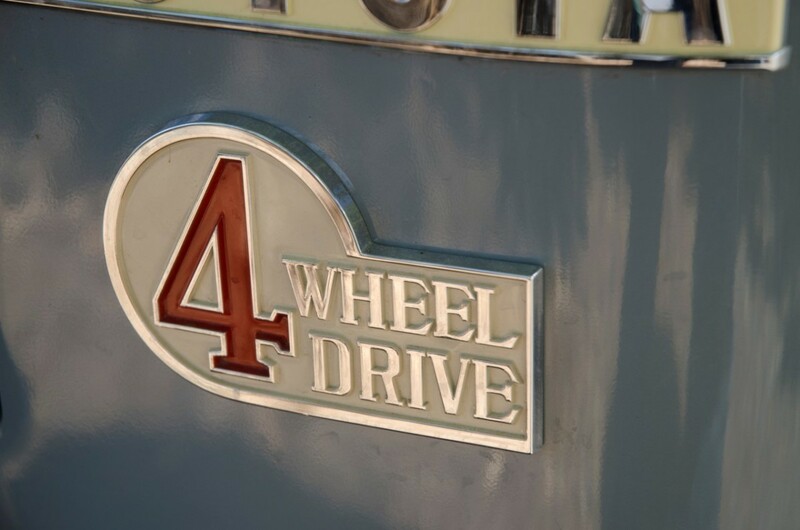 The J40 Series was launched in 1960, with the ‘40’ designation denoting its short wheelbase of 90 inches. The 40 Series was produced in various lengths, including 40-41 (short) 43, 44, 46 (medium) and 45 or 47 (long wheelbase). The 40 Series improved upon the 20 Series in every way including reinforced chassis and body as well as a low-range transfer case and more power. The 40 Series line-up included soft tops, a light van variant and a pickup truck model. The 40 Series model became hugely popular and cemented Toyota in the minds of overseas markets as the reliable brand it’s seen as today. Without this Cruiser, it’s arguable that Toyota may not even exist today, as it was so fundamental in the early success of the company. The 40 Series was joined by the longer ‘Iron Pig’ FJ55 in 1967 but continued production right up until 1984 before being replaced again by the J70 Series.